Clinical Pilates focuses on strength, core stability, flexibility, balance, control and breathing. 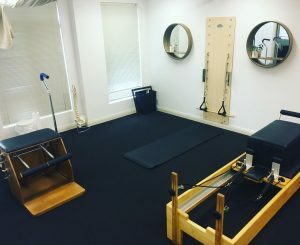 Clinical Pilates differs from regular Pilates as the Physiotherapist identifies key issues by applying carefully selected exercises to patients with specific injuries/areas of weakness. This ensures optimal gains whilst minimizing the likelihood of injury aggravation. 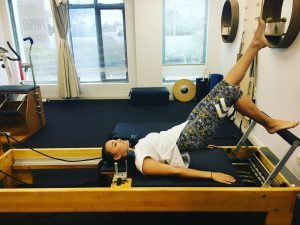 An assessment with a Physiotherapist prior to commencing Pilates is essential to design an individual program to suit your specific rehabilitation needs. Beachside differs from most other Pilates places as there is only a maximum of 3 people per class allowing the Physiotherapist to prescribe and accurately correct exercises. Each patient rotates between three pieces of equipment, the reformer, the Wunda chair and the Springboard. Wear comfortable clothing, we recommend for women exercise tights and for men loose fitting shorts. Pilates is done in either bare feet or socks. Bring a water bottle, as it is harder than you think! For your initial assessment bring any relevant medical information such as Doctors letters or scans.